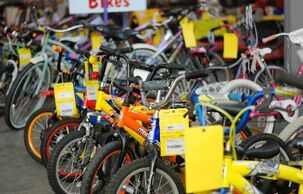 Join 700+ families who clean up and cash in at NorCal’s LARGEST twice yearly Kid’s Consignment Event! REGISTER HERE!! It's EASY! See below, we'll show you how, every step of the way! Drop off your items Monday, Mar. 4th or Tuesday, Mar. 5th (see times below), we sell them for YOU! You shop the presale and watch your check grow! ...and it's payday two weeks post sale! CA$H for my kids' outgrown items (now accepting LuLaRoe women's clothes). Yes, please! Consignors earn 60% of sales automatically. Earn more (65%) by filling 1+ four-hour shift onsite. All Consignors can shop presales EARLY! Average Consignor earns $400+ in CA$H! Consignor fee only $14.75 taken out of the final check - NO upfront fees! 7,000+ shoppers walk thru the doors during five days to buy YOUR items! We're here for you! Join our private Consignor ONLY Facebook page. 300+ Helpers make each sale event the perfect place for families to find great deals on items they need! You can be one! Help is needed throughout the week, 8am-10pm Monday thru Monday. Check our online scheduler for available shifts and barters (distributing free admission passes to schools prior to event, hanging posters at local businesses, writing a blog post, providing water, baked goods for the event etc. are valid for presale passes only - must fill an onsite shift to qualify for addl. 5% of sold items as a Consignor). Click for Paperless Check In/Waiver! Enter via gate #2 (1350 Bennett Valley Rd) and drive to back of Grace Pavilion. Bring your items tagged, prepped, and sorted by type & size (for your convenience). Show us your pre-drop off online waiver & check in on your mobile. Fill out a Car Seat Checklist & Crib Waiver (if applicable). Place items on the sales floor in designated areas (30-60 minutes depending how many items you have and time you arrive). Pick up Presale Tickets and shop 'til you drop! 11:00am-7:00pm Open Drop Off, All consignors with less than 300 items. PICK UP (optional, if you choose not to donate remaining items). 12:31pm - All items donated to charity, Active 20-30. No early/late pick ups, items are non-retrievable - no exceptions! Helpers & Consignors get to shop FIRST! Kids of all ages & strollers welcome during 50% off presale! Presale Passes: Consignors will receive Presale Passes at Drop Off. All others will be on an Entrance List at the Presale Door. Ask yourself, "what would I pay for this item?" Consider the popularity of the item. If it's a better brand name, unique, high priced item, chances are you can fetch a bit more. If it's common (like a baby bathtub or white onsies) there may be several others on the sales floor to grab the attention of the shopper. All items should be priced at $3 or more. Not worth three bucks? Pair it with the same type of item or with a complementary item to get to $3 or more. ie: shirt/pants outfit, bag of onsies, socks, or matchbox cars. Still stumped? Use the "advanced search" feature on eBay.com to check for sold auction items. This is a good indication of the price you will be able to fetch on your item. Remember, shoppers won't have to pay shipping fees on your items. Remember, these are just guidelines, ultimately the decision on how to price your items is yours. You got this! If you are donating your items at the end of the sale, please do not choose for your item to remain full price! Girls: preemie to size 16. Boys: preemie to size 20. Maternity: all sizes/all seasons. Juniors/Adult Clothing: not accepted. EXCEPTION: Max 100 LuLaRoe garments. For your convenience/efficiency, sort all clothing by gender and size for tagging and drop off. ALL CLOTHES MUST BE ON HANGERS! Wire and tubular hangers work best (skip the big chunky wooden ones please!). Size 5T and under, use children's hangers. Larger sizes and maternity, use adult hangers. If garments fall off hangers, we can’t sell ‘em! Hangers can be found inexpensively at most discount stores such as Big Lots, Dollar Stores and sometimes free if you ask at Target, Carters, Kohl’s, Osh Kosh, etc. Check out Free & Low Cost Hangers doc. for more ideas. Clothing to be hung with the hanger hook pointing left. (hanger will resemble a question mark when looking at front of item). When hanging pants, attach safety pins to the TOP part of the hanger to ensure pant will not slide. Best hangers to use for pants/shorts/skirts are clip hangers like the ones used in department stores. Clothing items are sold on hangers, hangers will not be returned to consignor, however, unsold clothing will be returned on hangers (as a shopper, you get to keep the hangers)! Multi-piece clothing items safety pinned together through all pieces (if selling item with an accessory such as a hat or pair of socks, safety pin accessory to clothing item). Do not use a tagging gun to attach clothing items together. Onsies, socks, tights, hats, infant mittens and accessores are accepted in Ziploc bags (you may group multiple like items in one bag) securely taped shut with clear packing tape. Overstuffed bags do not sell! Size 24+ month onsies and all other garments including footed pajamas must be hung on hangers. We recommend hanging decorative bodysuits/onsies regardless of size.Hung items sell best as shoppers like to touch and inspect garments (just like you do too)! If hanging shirt and pant set on 1 hanger, safety pin thru both clothing pieces AND through the top of hanger (this will prevent pants from weighing down the shirt and causing tears). DO NOT safety pin pants to the bottom of the shirt OR bottom of the hanger. Rubber band or tape hangers together if selling multi piece items on multiple hangers (remember to safety pin items together). Refer to our Quick or Detailed pricing guidelines. Remember to price your items starting at $3. If item is not worth $3, make an outfit or sell multiple garments together (ie: 3 shirts). Use 1" or larger safety pins or a tagging gun. NO straight pins or small gold safety pins. Tag location for safety pins: Attach tag to the upper right side when you are looking at the front of the garment, preferably in a seam. If fabric is delicate, use sizing seam. Tag location for gun: Be VERY CAREFUL, it is EASY to make holes in a garment! Use a seam or sizing tag ONLY. Tagging outside of these areas causes holes (especially when tag is removed/first washed). Sizing label on shirts, skirts, etc. and belt loop on pants are OK. Improperly tagging with gun will result in items being turned away/removed from floor. Refer to simple gun directions. PULL softly on tag to make sure it is properly secured and will not come off easily. Unfortunately MANY tags come off during the sale and are not sold - help us sell YOUR items! If you are interested in ordering a tagging gun, you can find great deals on ebay. Dennison and Arrow are better brands (get the 2" size barbs). Tags MUST be pulled out (not tucked inside clothing) so they are easily visible to shoppers. Once you tag about five items, you will be sailing away - tagging is RIDICULOUSLY EASY! Sets sell well in smaller sizes, so match things up if you can. Make sure that the sizes are the same (brands can be different). As kids reach the pre-teen sizes (14-16), they are very particular. Clothing must be in excellent condition and very CURRENT style. Exersaucers, swings, high chairs, changing tables, cribs (Manufactured AFTER June 28, 2011, strollers, bath seats, baby walkers, car seats & car seat accessories. Children's furniture - beds (toddler, twin), desks, side tables, dressers, etc. Must have all parts, and be in good condition. Clean all items thoroughly. Stained items will be turned away at inspection/removed from floor. Place small parts/accessories belonging to items in Ziploc/plastic bag. Tape bag shut with clear packing tape. Fasten the bag securely to the item with clear. packing tape, safety pin or small zip tie. Multi-piece items may be attached together with zip ties or securely with string. • Furniture and beds MUST be assembled. We accept toddler and youth twin beds. Attach tag with clear packing tape, safety pin, or by punching a hole in the top of the tag and securing with ribbon. Important: DO NOT use clear packaging tape to attach tag to an item that is made of cotton-like material (i.e. bouncy seat, pack ‘n play) the tag will fall off! Tip: Place a piece of tape on tag before punching a hole. This will reinforce the tag so that it is not easily torn off your item. Gather: Exersaucers, swings, high chairs, changing tables, cribs (Manufactured AFTER June 28, 2011; please bring Crib Waiver for all cribs), strollers, bath seats, baby walkers, car seats & car seat accessories (must be checked for safety recalls, must have all parts, and be in good condition). Children's furniture - beds (toddler, twin), desks, side tables, dressers, etc. Price: Price 50% - 75% off retail. Items that are unique and/or in great condition tend to sell very well. Tag: Attach JBF tag directly to item with clear packaging tape or hole-punch JBF tag and tie it to item. Don't use tape if it will ruin the finish of an item. Newborn through youth sizes are accepted. No adult shoes please. Discard shoe boxes – new shoes can be spotted a mile away and will sell!! Be sure shoes are clean, clean, clean! Only bring your best as those with worn marks, mud, etc., will not be accepted - leave those stinkies at home please! Magic Erasers (or generic brand) truly do a great job at restoring shoes! Punch a hole in the top of your tag and fasten shoes together with ribbon, string or zip ties. For shoes that cannot be fastened together (ie: no laces or lace holes), place in baggie, tape shut and adhere tag with packing tape on the outside or place tag inside. Bassinet, crib, toddler, twin, and full size bedding with kid patterns are accepted. King, queen and non-child bedding will be turned away at inspection or removed from floor. Kid specific room décor items; lamps, curtains, rugs, etc. (household items will be removed from floor). Receiving blankets, burp clothes, towels, cloth diapers, etc. All in good condition. Clean all items thoroughly. Stained/worn out items will be turned away at inspection/removed from floor. Shoppers get very disappointed when they find a stain in the middle of a blanket when they get home. "Do onto others..."
Bedding and sets/matching accessories may be placed in original packaging, XL Ziploc/clear bag or tied securely together with ribbon/clear packing tape. Arrange so shoppers can see all items inside as well as pattern. You may sell matching lamps and room decor with your bedding set but we recommend selling them separately. Bundle blankets, cloths, and towels with ribbon or string like a package (be sure multiple pieces cannot be separated). Attach tag to item with clear packing tape, safety pin, or punch hole in top of tag and secure with ribbon. DO NOT use clear packaging tape to attach tag to an item that is made of cotton-like material (i.e. comforter) - tag will fall off! Place a piece of tape on tag before punching a hole (optional). This will reinforce the tag so that it is not easily torn off your item. For multi piece items, include how many items on tag. For bedding/blankets bundled with string, attach tag directly to blanket and tuck under ribbon/string so it does not easily get pulled off when shifted at sale.Print copy of bedding/set set up and tape to bag (optional – helps shoppers). Refer to our Quick or Detailed pricing guidelines. Make your price irresistible! We know you paid $250+ for your crib set, however, shoppers are less likely to purchase these items used, so prices have to be LOW. Try 75% - 90% off retail. Diaper bags, infant carriers, backpacks, and purses are great consignment items. Zip-tie items to an adult-size hanger. Hole-punch tag and attach with ribbon or string. If item contains multiple pieces, be sure all pieces are included and list number of items on tag description. If item has multiple pieces use clear packaging tape, safety pins or Ziploc bags to keep items attached together. Attach tag directly to item or Ziploc baggie with clear packaging tape or hole-punch tag and tie to item. Test to make certain all toys/equipment are working properly. Battery operated items must include working batteries (these can be purchased inexpensively at dollar stores). Bag all small parts belonging to toys/equipment in Ziploc/plasticbags and tape shut with clear packing tape. Fasten bag securely to the item with ribbon, tape, or zip ties. Items must include ALL working parts. You may group several like items together (match box cars, Thomas the Trains, Barbies, etc.) in a Ziploc bag. Secure bag shut with clear tape. Items may be placed into multiple bags and secured together with clear packing tape. Make sure they will not come apart! Multi piece items that will not fit into a bag may be attached together with zip ties or securely with string. Make sure they will not come apart! Place a piece of tape on tag before punching a hole will reinforce the tag so that it is not easily torn off your item (optional). *Refer our Quick or Detailed pricing guidelines - toys typically sell for 50-90% below retail depending on item, brand, condition, uniqueness and demand. Attach tag directly to item with clear packaging tape or hole-punch tag and tie to item securely. Multi piece items -print one tag, write 1 of 2 on it. Cut out a separate piece of card stock and write 1.) Your consignor # 2.) Description of item 3.) 2 of 2 4.) the price. Don’t print a 2nd tag. You’ll have two barcodes and this gets confusing! Books - children’s, parenting, homeschooling, pregnancy and child rearing books (no adult please), board games, puzzles, video games, video game systems, music, learning, movie DVD’s (no explicit or “R” rated), scrapbook supplies, arts & crafts. Be sure all items are in good condition & CLEAN. Game, puzzles and arts and crafts must include ALL pieces and be in box/plastic bag securely taped shut. Book sets: place in Ziploc baggie, tie together with string/ ribbon or “saran wrap” together. Believe it or not, wooden puzzle pieces stay in place and display beautifully by wrapping in saran wrap! Use scotch or painters tape to attach tags to books. Do not use packing or masking tape as they leave residue and when removed, can tear cover. Adhere tag to front or back of book (not inside cover). If selling multiple items together, include how many items on tag. (i.e. 3 Thomas the Trains; Thomas, Percy & Lady). Car Seats and bases (don't forget base in Dad and Grandma's cars) less than 5 years old. Check for recalls or call the Dept of transportation for recalls 1-800-424-9393. Complete car seat check list and bring to drop off for buckets, car seats, boosters AND bases. Provide copy of instruction booklet with car seat (if you do not have, please print copy of 1st page from online). Refer to our Quick or Detailed pricing guidelines. Price bases sold separately LOW - 75-95% off. *Attach tag directly to item with clear packaging tape or hole-punch tag and tie to item. That's right, JBF is accepting WOMEN'S LuLaRoe clothing! You don't have to consign kids items to sell your LLR! There will be a separate section just for LLR. Enter your items online, drop 'em off and we sell them for you. It's no different than consigning your kids' items. Please note, we have a max of 100 LLR garments per Consignor/Family. Please do not use multiple Consignor numbers under multiple names as space is limited. Thank you! 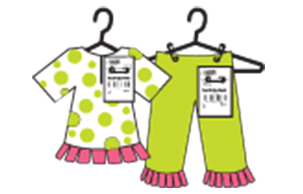 Follow the directions for children's clothing to prep women's items (all garments on hangers). Yup, it's that easy and you get a check for your earnings! No sitting there selling, no exhibiting, just simple! We’ll tag, store and transport your items to the sale! You get to shop the Consignor presales and two weeks post sale, your check arrives. You earn 40-45% in cash just like that! 1. Sign up ASAP here . 2. Collect items; make sure they're in working order, clean and free from ALL stains and tears, batteries and all pieces/parts included. 3. Drop off at a prearranged time and location. You may pick up any unsold items or donate to our charity partner. Please note: Space is limited and this service will close two weeks prior to the sale, or when all spaces have been reserved. BOOK YOUR SPOT ASAP! Valet tagging is EASY, SMART and it's MONEY in your pocket! Spring/Summer 2019: We are currently working on a new incentive program. Below is how our All Star Program worked in the past. If you have any new ideas, send 'em our way! jenniferhundley@jbfsale.com. A tangible way to thank our Consignors who consistently follow the JBF guidelines and bring great items to the sale. "All * Star" Consignors have less than three stained, damaged, unacceptable, or recalled items that didn't pass inspection or get removed from the floor during the sale. Meet this simple criteria at the upcoming sales event and you get to a 15 minute headstart on your shopping time next sale! Please note, our All Star Consignor program is no longer in affect. Earn 60% on your sales (65% if you can help onsite 4 hours) in CA$H, less a $14.75 consignor fee. 7,000+ shoppers walk thru the doors during five days to buy YOUR items. Consignors and Helpers get to shop exclusive presales. It’s easy - tag via our free, fast and convenient barcoding website. Drop off your items and we sell them for you! Anyone can do it - including YOU!